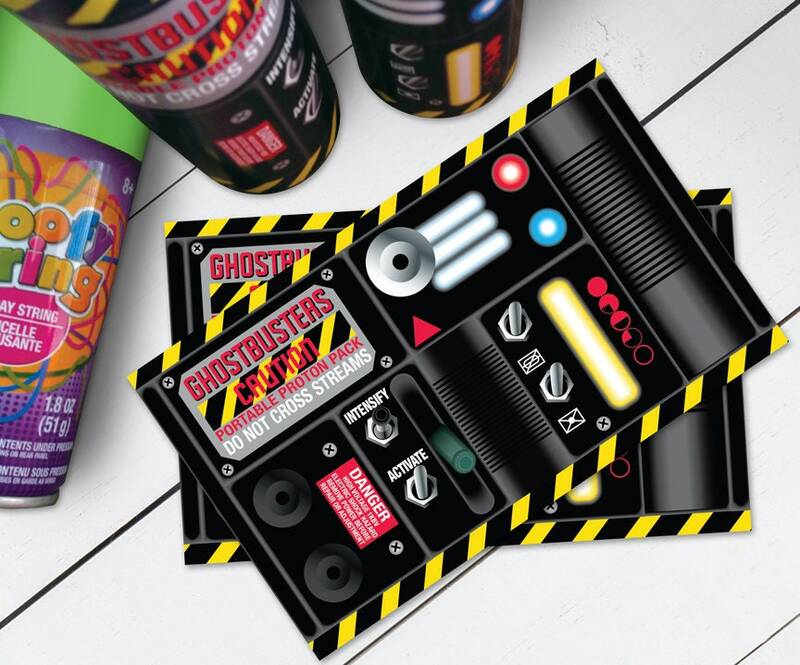 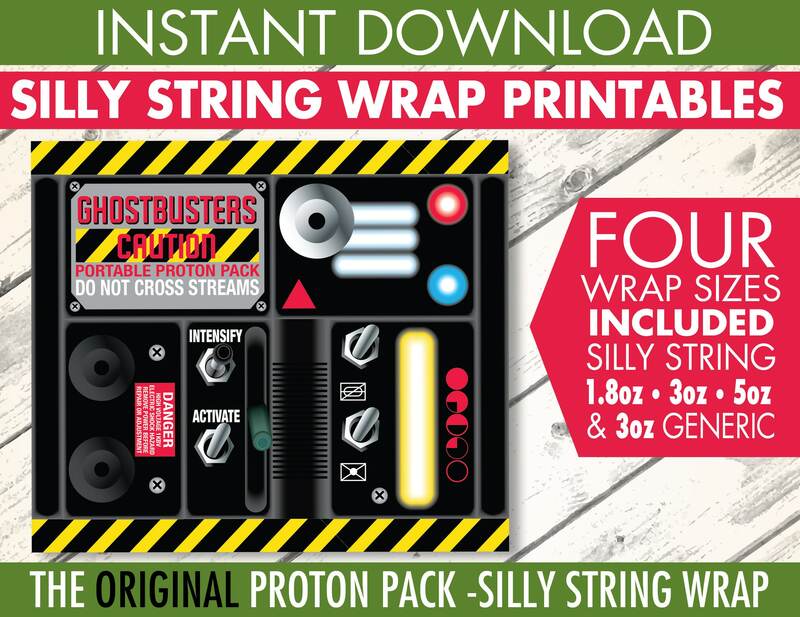 (¸.·´INSTANTLY DOWNLOAD these ORIGINAL Silly String GHOST-BUSTER PROTON PACK LABELS. 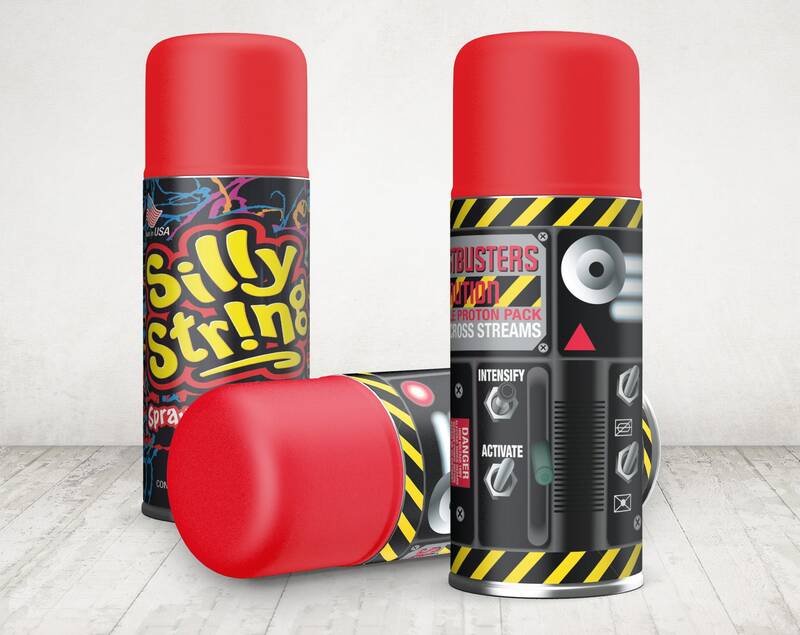 This set includes FOUR SIZES to fit most Silly String Cans, as well as Generic Brands. 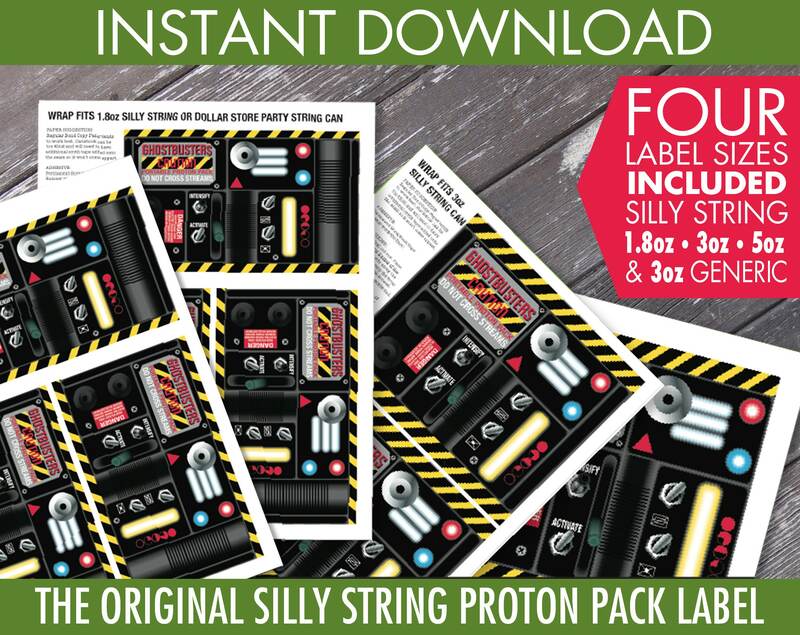 These are DIY printableswhich you download, print as many times as you like. 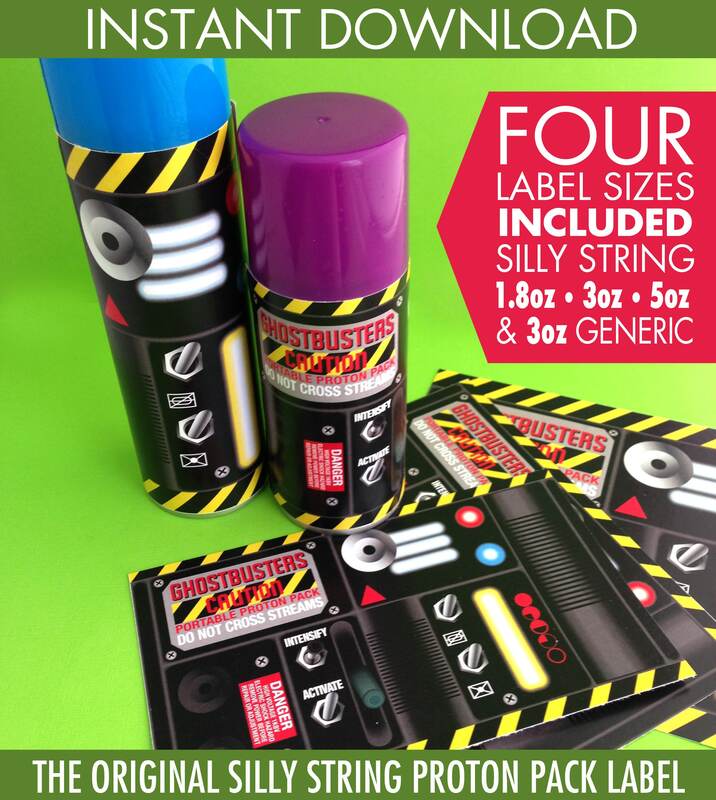 ** PLEASE NOTE: If the label height is too high, you may trim the off some from the top and/or bottom. 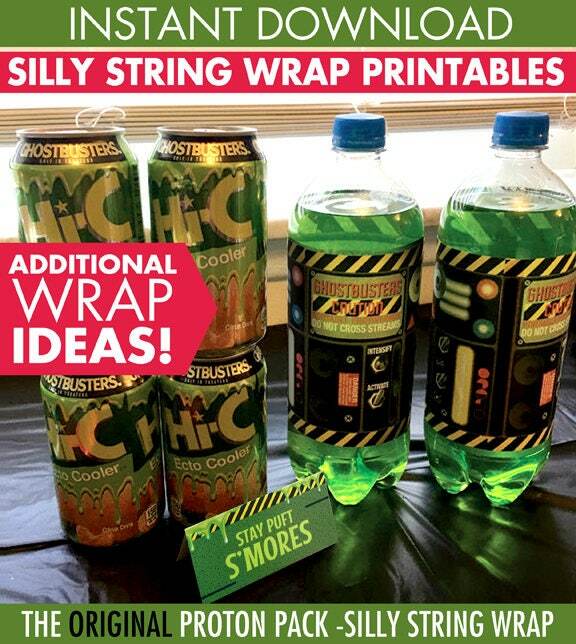 If the label is too long in length, when you wrap it around the can, you may trim the sides. 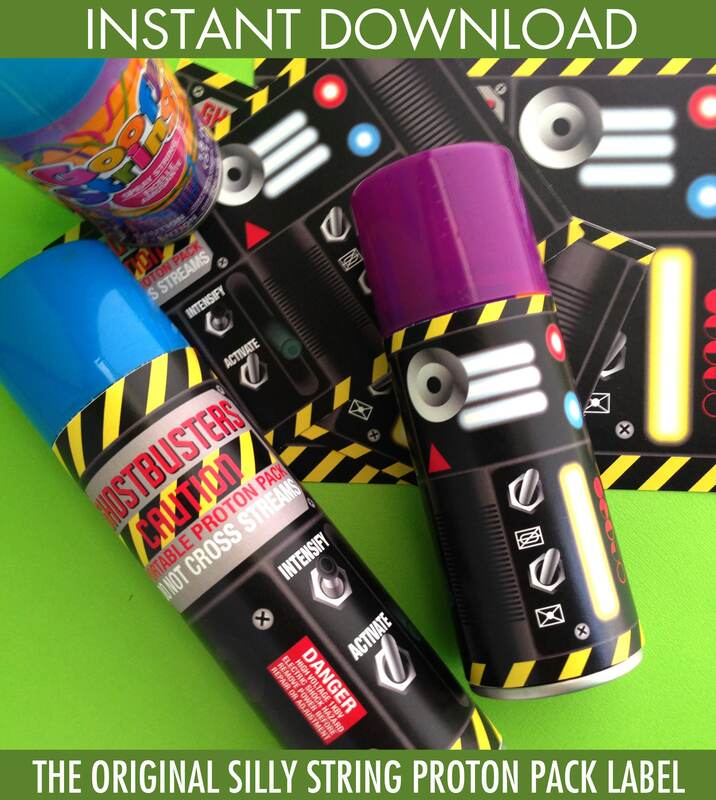 ★ No refunds will be given if labels do not fit your cans - - they are sold "AS IS".